Construction work on the direct connectors for US 59 North at Beltway 8 will create delays for motorists traveling in northern Harris County this weekend. On Saturday, June 26 and Sunday, June 27, crews will close the following roadways from 5:00 a.m. to 7:00 p.m., daily. US 59 North mainlanes, north- and southbound – from Aldine Bender to Greens Road. Motorists will be detoured to the frontage road. Beltway 8 frontage road, east- and westbound – at US 59 North. Motorists traveling on the frontage road eastbound will be detoured to the US 59 southbound frontage road to Aldine Bender and U-turn to the US 59 northbound frontage road, to Beltway 8. Motorists traveling the frontage road westbound will be detoured to the US 59 northbound frontage road to Greens Road and U-turn to the US 59 southbound frontage road, to Beltway 8. These closures are necessary for the contractor to safely hang new bridge beams. Local law enforcement will provide traffic control to facilitate movement for the detour along the frontage roads. The Texas Transportation Commission awarded Williams Brothers Construction Company, Inc., the $29.6 million contract in August 2009 to build four direct connector ramps at US 59 North and Beltway 8. The new ramps will connect US 59 north- and southbound to Beltway 8 eastbound, and Beltway 8 westbound to US 59 north- and southbound. This project is funded through the American Recovery and Reinvestment Act and is estimated to be complete mid-2011. Scheduled lane closure information is available on the Houston TranStar website at www.houstontranstar.org. 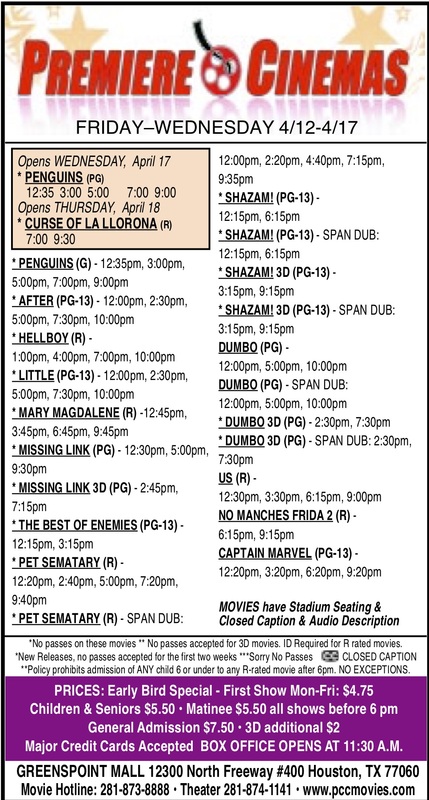 All closures are subject to change due to inclement weather. 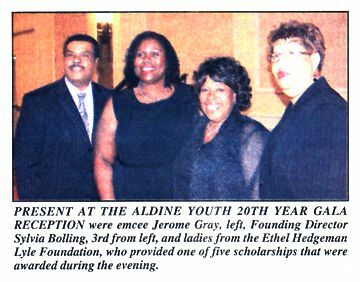 NORTHEAST — Hundreds of well-wishers and supporters of the Aldine YOUTH organization, and its dedicated founder Sylvia Bolling, turned out for a premier Gala at the Hilton Hotel Greenspoint last Tuesday, May 25th. Emcee for the evening was Channel 2 newsman Jerome Gray, a long time supporter of Bolling’s group. Also hosting the evening were honorary chairs Dr. Max Castillo, former UHD president, and Dr. Rosario Martinez Castillo of Lone Star College. Other hosts included Bolling’s daughters, Shawna Roy and Kenyetta Bolling, and April Day. Events for the evening included testimonials from Jerome Gray, Pastor Robby Emery, Steve Mead, Johnny LaRue, Max Castillo, Rosario Castillo, and board president Mark Rome. Entertainment included a Signing presentation by Sylvia’s Sign Language Choir, led by Sylvia. The history of Aldine YOUTH was presented in a video talk by Ms. Bolling. Sylvia also spoke about new projects that she intends to implement at the center in the near future. A Scholarship of $500 was presented to Victoria Zamora, who won a “Giving Back” competition, and three runner-ups were presented $300 scholarships by Dr. Larry Rideaux of Lone Star College. These went to Maryela Lopez, Cristal Mirand, and Mark Guillen. State Representative Walle added $100 to each award. 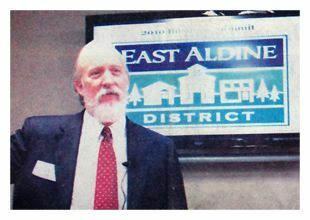 NORTHEAST — East Aldine Executive Director David Hawes welcomed the many organizations that work with the District to accomplish its goals, and who also benefit from the work accomplished by the District. The purpose of this quarterly luncheon was to communicate with these partners and to review the progress in the 10 years of its existence. Hawes pointed out that the District receives its revenue from a sales tax, and this has grown from about $800,000 the first year, 2001, to $3,600,000 in 2009. Not only has this income been used for community improvement projects, but it has also been leveraged with other agencies to create even more accomplishments with “partnered” monies. Hawes reviewed progress in each of the categories that occur in the “Service Plan” which guides the work of the District. Each year in January the board meets in a workshop, to review and amend the Service Plan for the next year. In Water & Sewer, Hawes said that even though studies showed the area to need $250 million in long-term improvements, nevertheless the District has underway over $30 million in projects of this type. Mobility & Transportation includes plans to improve Aldine-Westfield paving and intersections, widening of Aldine-Mail, a bus transit study for new routes, and a study of extending W. Gulf Bank. Economic Development, Parks & Greenspace, Environmental & Urban Design projects were also reviewed. This included a “signing” project to mark the boundaries of the District. Hawes noted that a number of scholarships have been endowed with the Aldine Scholarship Foundation for local students, and other projects have funded grants for youth projects, after school activities, and YMCA classes. The District has drawn praise for its forward thinking in public safety, including the Sheriff’s pro-active unit, bicycle patrols in parks and parking lots, nuisance abatement, and an auto-theft task force. Hawes said that the District is also in the pre-planning stages for a special central development, a town-center concept that would include many institutional, educational, governmental, and commercial partners. This month, students across Texas, and in our own back yard, celebrate the conclusion of their high school academic career with commencement. Tiffany Lam Vo is Aldine Sr. High’s 2010 valedictorian. Jessica Orobio is the salutatorian. Rounding out Aldine Sr. High’s Top 10 are: Osbaldo Flores, 3; Yesika Soto, 4; My Nga Thi Vo, 5; Chealci Elizabeth Eddins, 6; Hali Nicole Rode, 7; Alyssa Ruth Miranda, 8; Vanessa Gutierrez, 9; and Rosalio Ayala, 10. Erica Lisbeth Morales is MacArthur Sr. High’s 2010 valedictorian. David Eudoxio Gonzalez is the salutatorian. Also making the top 10 were Ursula Nguyen, 3; Priscilla Nguyen, 4; Olga Cabrera, 5; Yvette Marie Mata, 6; Lauren RaeLynn Smith, 7; Enrique Badillo, 8; Patricia Soriano, 9; and Brenda Becerra Soriano, 10. Heather Klein and Kaitlin Barnes were Nimitz High’s top two graduates. NORTH FOREST — About one hundred interested parents, students, and some faculty from North Forest and YES Prep met last Wednesday evening, to describe the new charter school proposed for North Forest, and to answer questions. Also present were some new trustees of the elected school board, who will come back into office later this year. 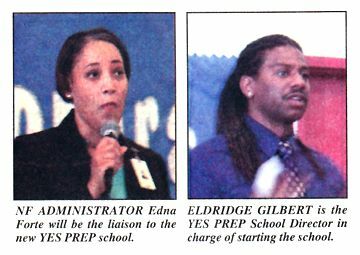 After an introduction by North Forest official Edna Forte, the YES Prep school system was described in detail by Eldridge Gilbert of YES. He will be the director of the new school, when it opens in August. He also answered questions from the audience after his presentation. Although it will be housed in an existing North Forest school, R.E. Kirby on Mesa Drive, which will be refurbished in the coming months. Gilbert and Bill Durbin of YES Prep explained that students will be enrolled in 6th and 9th grades, with seats for 140 sixth graders and 70 ninth graders. In following years, as these students move up a grade, more students will be accepted in the 6th and 9th until the school is fully enrolled at about 800 students in seven grades. YES stands for Youth Engaged in Service. The school places an emphasis on college preparation, but all students must also complete 100 hours of community service to graduate. YES started in 1998, and last year all their seven campuses were rated by the state as “Exemplary.” North Forest will be the eighth campus, and long range plans for YES Prep call for growth to 13 campuses with 10,000 students. They now are educating about 3,500 students, they told the Northeast News. Parents are asked to sign up during the month of June, before June 24, and acceptances will be available by June 29. Additional meetings will be held on June 9th and June 24th for more information and to sign up. Because of the emphasis on college preparation, YES Prep’s Bill Durbin pointed out that many academic scholarships to top tier universities are usually available to graduating students.